This website outlines all of the ways you can make money with the 10Tier.com Customer Referral Program (CRP). We outline all of the current compensation plans and this site will continue to be updated every time there is a new way our referring customers can earn by referring our services. So with countless online income opportunities out there how do you know which one to take part in? Before you finish reading this page we believe that you will find that our free Customer Referral Program based on our 10 Tier residual income opportunity compensation model is the best online income opportunity to ever be created. That’s a big statement, we know, but we stand 100% behind that statement! We pay you lifetime residual commissions on every referral you make. We provide valuable services that are greatly needed at an affordable price. There is no minimum, quotas, or hoops you need to jump through to receive your referral commissions. You have the potential to earn tremendous income referring our services with no limit to how much you can earn. These are just some of the reasons why our free Customer Referral Program is the greatest online income opportunity ever created. We created a referral program based upon an unbelievable 10 Tier residual income payment structure giving you the potential to generate life altering financial success. The opportunity is yours, and our system can get you there if you seize hold of the opportunity! If you have been searching for an income opportunity that will greatly reward your hard work and effort and give you virtually unlimited earning potential you have found it here with our residual income Customer Referral Program. 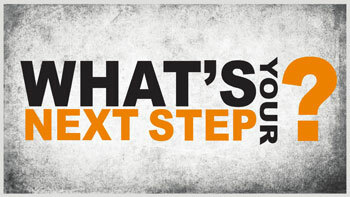 The next step is to take the first step in building the lifestyle you desire by taking part in our FREE income opportunity available to you as a 10Tier.com customer!